Discover the merchandising workshop at SILMO! Advices and best pratices to make your shop attractive and generates customer loyalty. 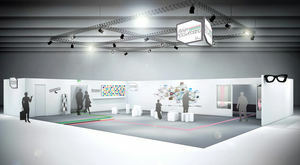 Visit the merchandising workshop in the hall 5 to have a full vision of your point of sales. 20 minutes personalized merchandising coaching face to face to enhance your merchandising skills and ask for questions.